Although Khalid Latif made his first-class debut five days shy of his 15th birthday, he wasn't actually able to make an impression until after his Youth Test debut in 2003. Selected as a captain of Pakistan Under-19s for the series against Sri Lanka, the right-hand opener scored 77 in the first match. He followed that up with possibly his greatest achievement to date - captaining Pakistan U-19s to a World Cup win in 2004. The following season saw Latif score his maiden first-class century and he ended with almost 400 runs. Reliable performances with the bat followed and Latif, after scoring close to 600 runs in the 2007-08 Quaid-e-Azam Trophy, was included in the Patron's XI line-up to play the touring Zimbabweans. With Pakistan searching for opening options, Latif duly made his ODI debut, albeit an unimpressive one, against Zimbabwe in Faisalabad. 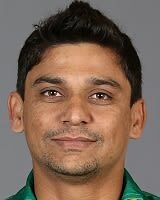 Find Khalid Latif profile and stats of batting, bowling and fielding including latest updated news of Khalid Latif, videos and images at Hamariweb.com. Also find detail Player profile and career statistics of Khalid Latif of Pakistan. wow! Khalid Latif is in great form now a days, I like his batting performance in BPL where he hit various sixes. I think he should be a regular member of T 20 team. I think PCB should consider Khalid Lateef as a regular opener in T20 matches because he always perform well. I remembered his brilliant inning against England, he played some classical shots. Khalid Lateef is a very much talented player. He should have been selected in National team for Cricket World Cup 2011. He is much better than stupid players Ahmed Shahzad, Misbah and Umar Akmal. 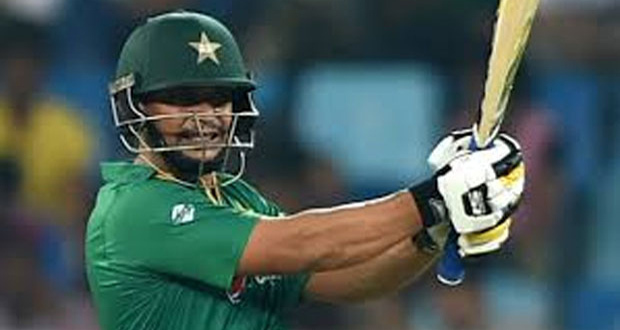 Khalid Latif - Find Khalid Latif of Pakistan Cricket Team complete player profile, number of matches, runs score, wickets & catches, Statistics, Records, Khalid Latif Latest News, Khalid Latif Videos, Khalid Latif Photos, and other Khalid Latif Cricket Team players.